The Member of World Leadership Alliance - Club de Madrid (WLA - CdM) and former Prime Minister of Romania (1989-1991), Petre Roman led a mission to Mongolia where he supported the integration of Persons With Disabilities (PWDs) in the job market. This mission, which took place between October 22nd and October 25th in Ulaanbaatar, is part of the EU-funded project INSPIRED+ that WLA-CdM implements together with the European Partnership for Democracy, The Netherlands Institute for Multiparty Democracy and Mongolian partner Teghs Niigem, an NGO working in the field of PWDs. INSPIRED+ promotes compliance with UN human rights and International Labour Organization conventions in specific countries with the incentive of the EU GSP+ framework, a discount or full exemption of trade tariffs. 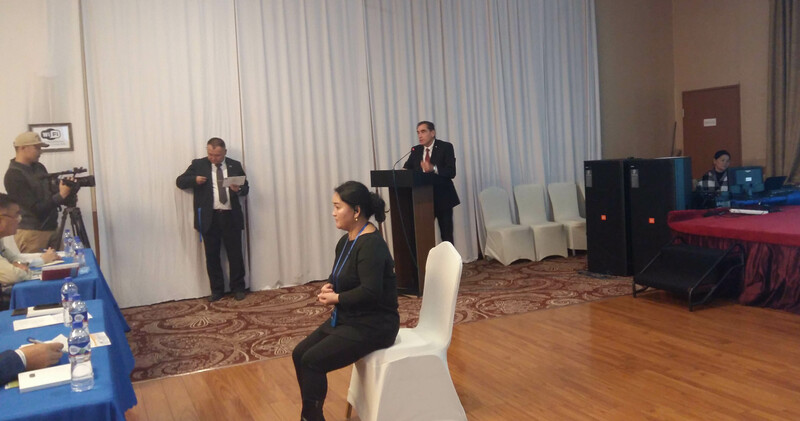 While the Mongolian government ratified the UN Convention on the Rights of Persons with Disabilities and laws are in place to facilitate their integration in the job market, implementing mechanisms remain inadequate and state resources insufficient. “A person with disabilities is a member of society like the rest. 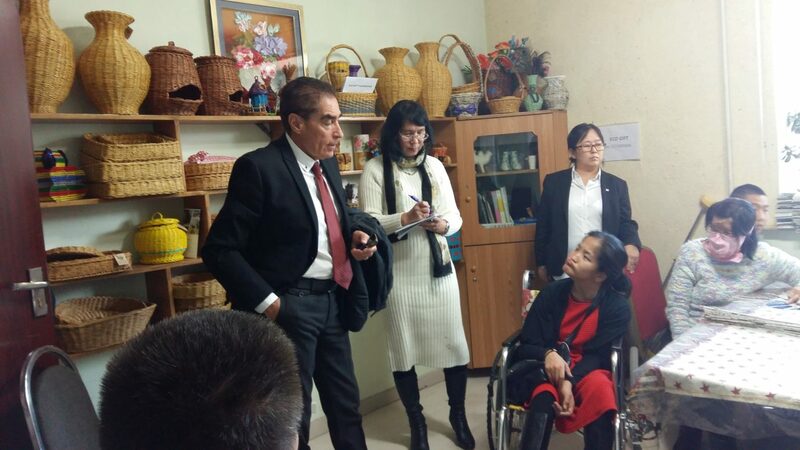 I am here on behalf of the EU and WLA-CdM to encourage the government of Mongolia to take concrete measures to implement laws promoting the employment of persons with disabilities", said Petre Roman in a visit to National Association of Female Wheelchair Users. During the mission in Mongolia, Petre Roman met several civil society representatives, including local partner Teghs Niggem, visited the EU Delegation, participated in the National Conference on the Implementation of the Economic Rights of Disabled People and met with the Minister of Labour and Social Protection, Sodnom Chinzorig, and Deputy Head of Parliament, Ya. Sanjmyatav; among other authorities. WLA-CdM Member gave an interview to the local channel Eagle News where he described civil society efforts to bring attention to the inclusion of PWDs. Petre Roman stepped in at the end of the consensus building phase of a dialogue process led for months prior to the mission by local partner Teghs Niigem. While participating at the National Conference on the Implementation of the Economic Rights of Disabled People, the former PM of Romania gave an overview of the policies and trends emerging in Europe’s normative framework. Assigning fines resulting from non-compliance with the quota system to a specific PWDs employment fund. "We need to understand what persons with disabilities expect from us. There is no reason for them not to have employment. Jobs involving digital technologies can be done by PWDs in the same manner as the rest. 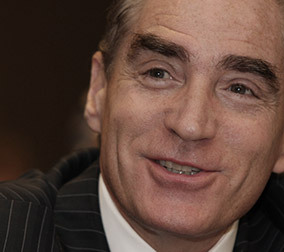 I advise to come up with concrete proposals", said Petre Roman. 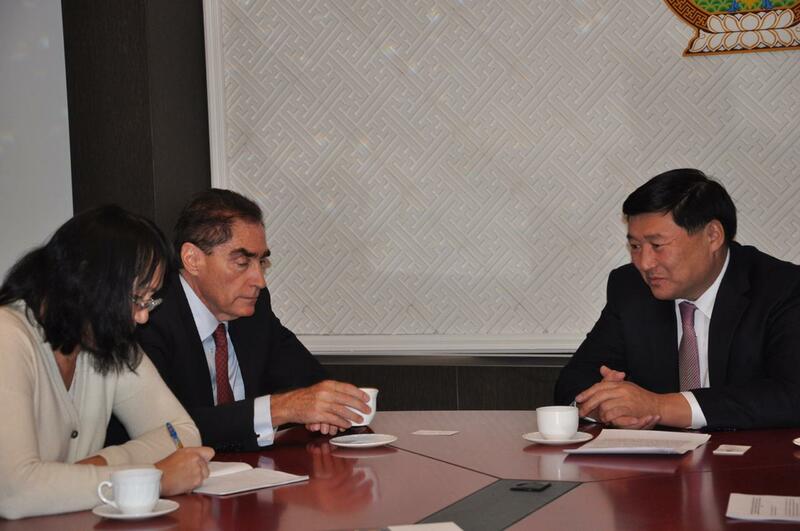 Policy recommendations included in the Roadmap for Reform were well received by the Mongolian authorities.